County council plans on sending a rather ‘meaty letter’ to the province ahead of a potential Ontario Municipal Board (OMB) hearing on a gravel pit proposed in Mulmur. Arbour Farms Limited is seeking a 103-acre aggregate licence to haul up to 500,000 tons of aggregate per year from its lands in Mulmur. The company plans to extract aggregate 20 metres below the water table. If approved, it is anticipated the gravel pit could add a maximum of 14 trucks per hour onto Airport Road, one of the most collision prone roads in Dufferin. Following some discussion, county council agreed to send a letter to the MNR demanding the province deny any or all aggregate applications intending to use Airport Road as a haul route. 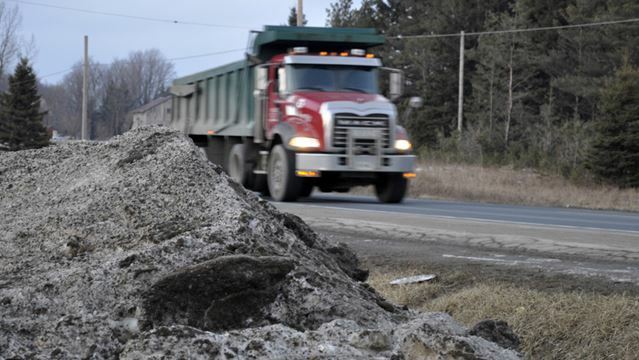 County politicians will also request the province pay to upgrade Airport Road, a frequently used haul route for gravel trucks travelling through Dufferin. According to county standards, Airport Road is a good thoroughfare. There would be certain improvements such as wider shoulders that could be obtained if it were changed to adhere to provincial road standards.